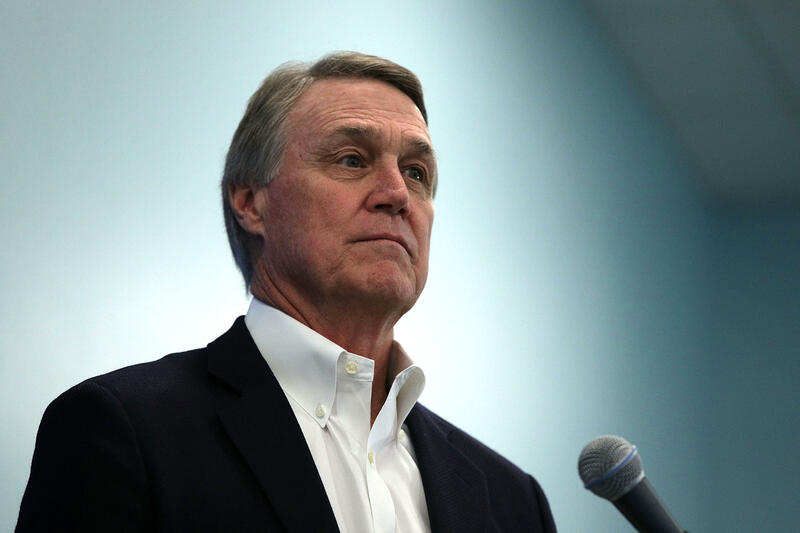 ATLANTA -- A Georgia Tech political group said Sen. David Perdue snatched a phone from a student who was video recording while asking the Republican lawmaker a question about the Georgia governor's race. Young Democratic Socialists of America's Georgia Tech chapter posted video from the phone on social media after Saturday's incident during Perdue's visit to campus. The student was trying to ask Perdue about allegations that Republican gubernatorial candidate Brian Kemp is working to suppress minority votes, a YDSA news release said. Perdue snatched the phone and held it briefly behind his back, the release said. The phone was soon returned to the student. "Perdue would have been within his legal rights to simply walk away or decline the question," the YDSA said. "But instead, he forcibly, suddenly, and violently took their phone without justification or provocation." YDSA of Georgia Tech said the unidentified student is considering filing a police report with Georgia Tech police. One of the chapter's leaders, who spoke to The Associated Press and requested anonymity for fear of retaliation, acknowledged the student had asked for a picture with Perdue. However, the leader said the student clearly declined to hand over his phone and that Perdue grabbed it only after the student began questioning and recording. On the posted 30-second video, the student is heard asking "So, how can you endorse a candidate...."
Before he finishes, Perdue says, "No, I'm not doing that." The screen goes black for a moment - YDSA says Perdue may have inadvertently stopped and restarted the recording when he grabbed the phone. The action picks up again with the phone in wild motion, capturing upside down and sideways images of trees and sidewalks and people as the student says, "You stole my property" and "Give me my phone back, senator," while Perdue can be heard saying, "You wanted a picture? I'm going to give you a picture." A few seconds later, he gives the phone back. The incident gained publicity as early voting for the Nov. 6 midterm elections was ramping up and Democratic candidate Stacey Abrams and her supporters assert that Kemp is effectively suppressing minority and women voters in his role as secretary of state. Kemp says he's been following the law and calls those allegations a "manufactured ... crisis" and a "publicity stunt."